AAGI is the industry leader in developing, marketing and administering vehicle service contracts and other automotive aftermarket products nationwide. All of its top-notch products are backed by strong relationships with the best insurers. The development of its fully-loaded software, QR360™, is what sets AAGI apart. With instant access to dealer billing statements and paid claims reports, it gets the job done well and efficiently. Its system integrates more than 20 menu companies and the two largest DMSs, making it one cohesive powerhouse in rating, remittance and billing tool. AAGI is always on the move, striving to continuously improve to provide its customers with the best tools and service possible. It works hard to make sure its customer’s work is easier. AAGI’s mission statement, "We succeed only when you do,"® is a testimony to the quality of care and support received when working with AAGI. 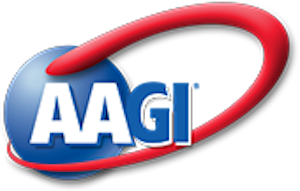 To see what is new with AAGI, visit here.